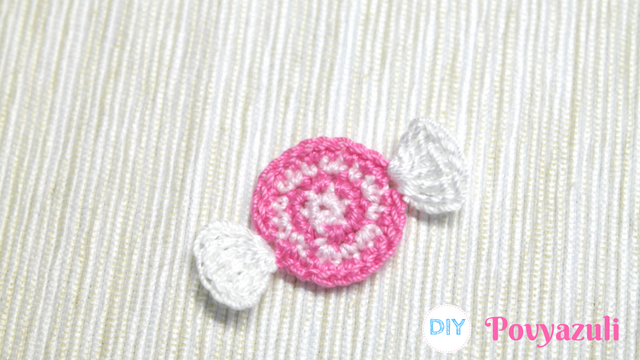 DIY Crochet and Knitting Povyazuli: [Crochet] How to Crochet a Candy Application. 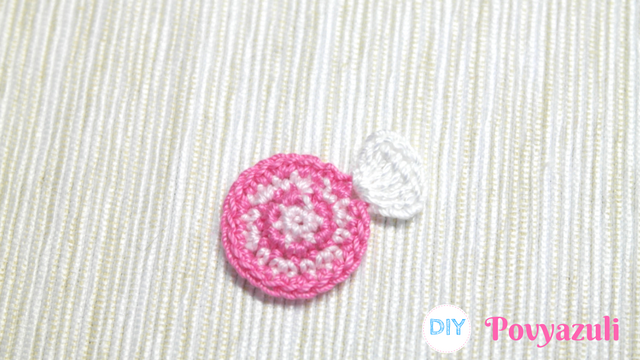 - Thin weight yarn of your choice (white, pink, dark pink). 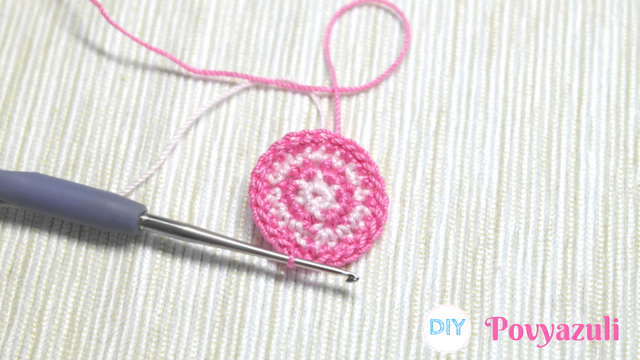 - Size 1,0 mm Crochet Hook. 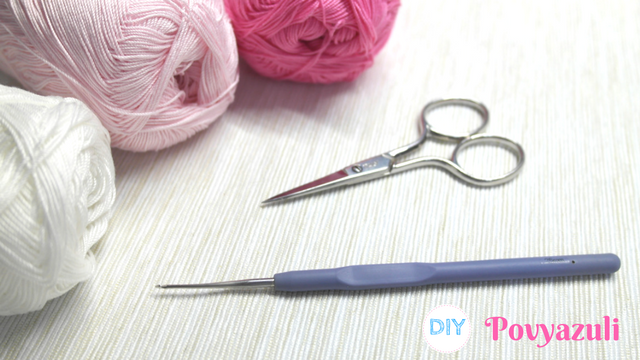 Use a smaller hook for a smaller application. Slip stitch - sl st.
1. 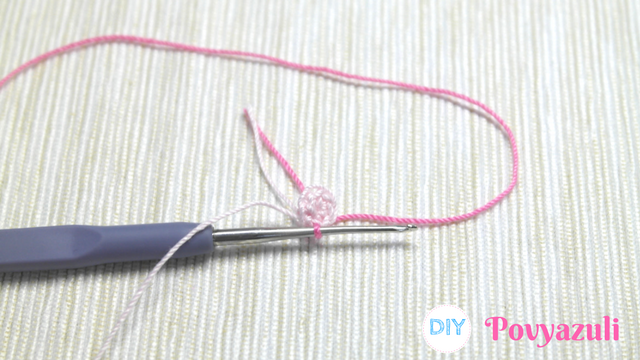 With pink yarn make 2 ch, 6 sc in second ch from the hook, change color of yarn (dark pink) and make 1 sl st in top of first sc to join. 2. In next row make 1 ch, 2 sc in each of next 6 loops, change color of yarn (pink) and make 1 sl st in the first sc to join. 3. In next row make 1 ch, (2 sc, 1 sc) - repeat around, change color of yarn (dark pink) and make 1 sl st in top of first sc to join. 4. In next row make 1 ch, (1 sc*2, 2 sc) - repeat around, 1 sl st in top of first sc to join. Finish. 5. 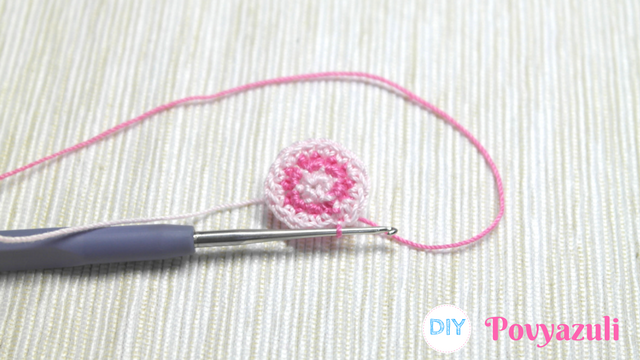 Take white yarn, insert hook in the top of sc, make 1 sl st, 4 ch, 4 treble crochet (tr) in same loop, 4 ch, 1 sl st in top of first sc to join. Finish. 6. Repeat it on the opposite side. 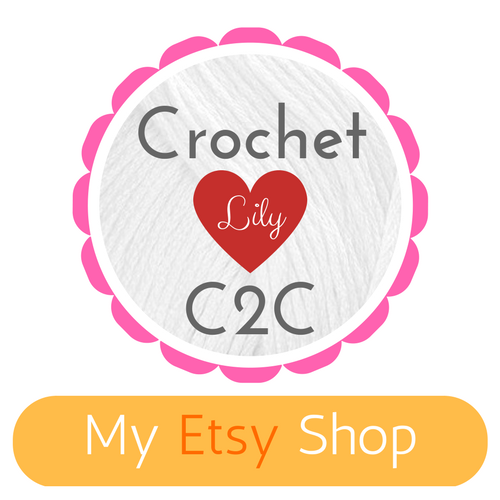 The crocheted sweet candy application is now ready! 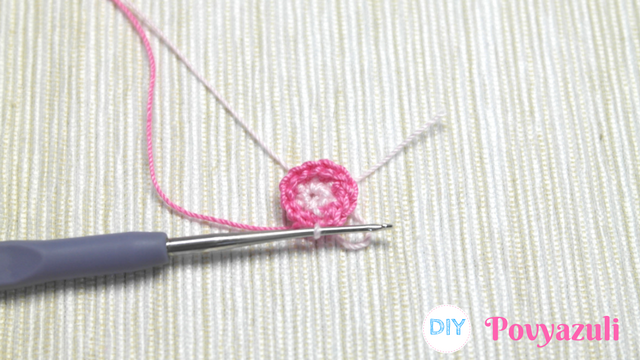 Video tutorial - How to Crochet a Candy Applique.